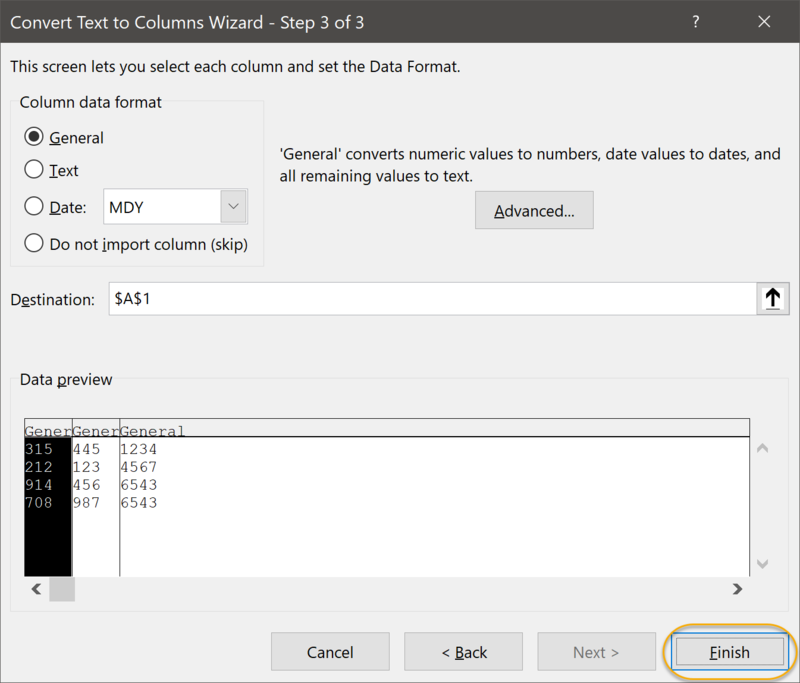 Data Tools in Microsoft Excel are simply tools that make it easy to manipulate data. Some of them are intended to save you time by extracting or joining data and others perform complex calculations. 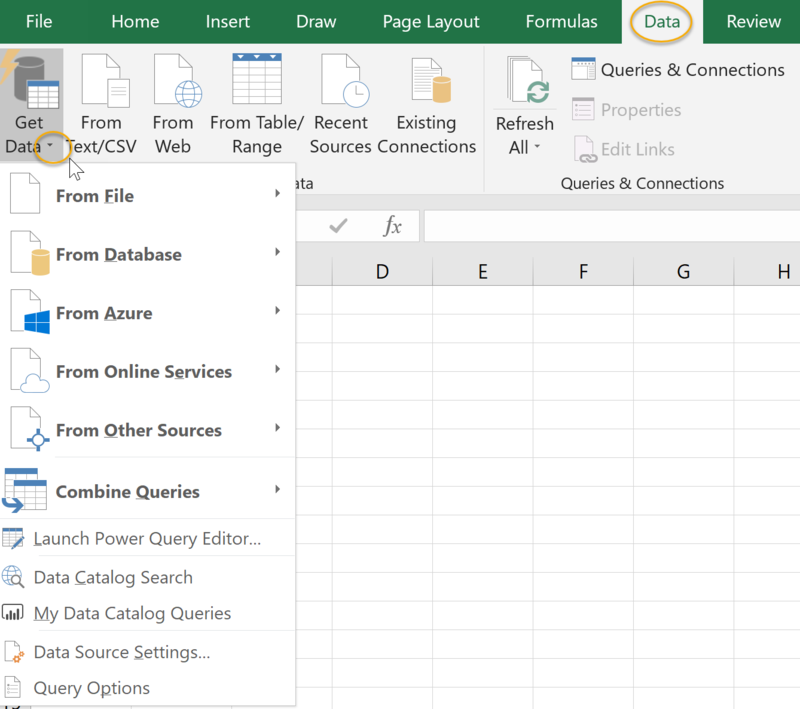 This lesson covers the most commonly used Data Tools. 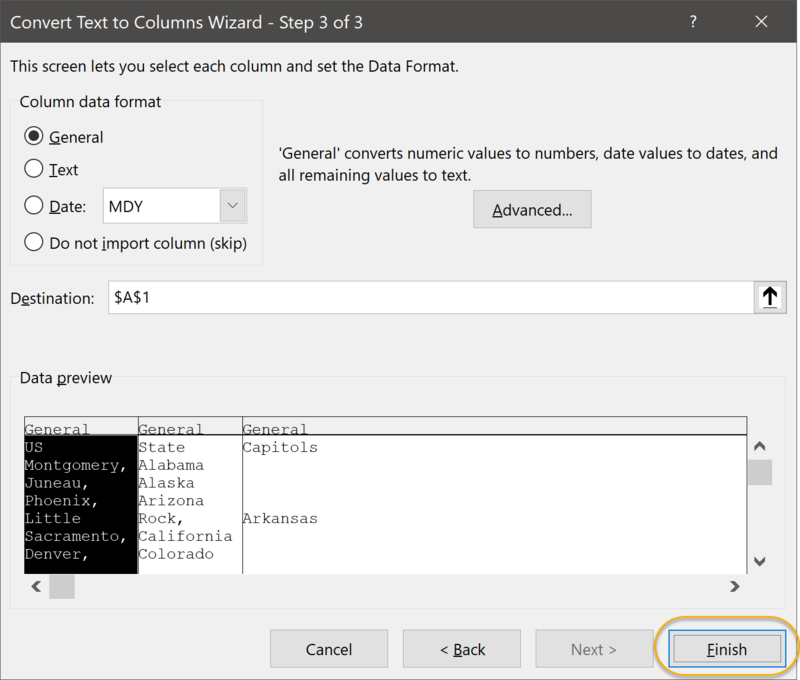 Learn to convert text to columns. 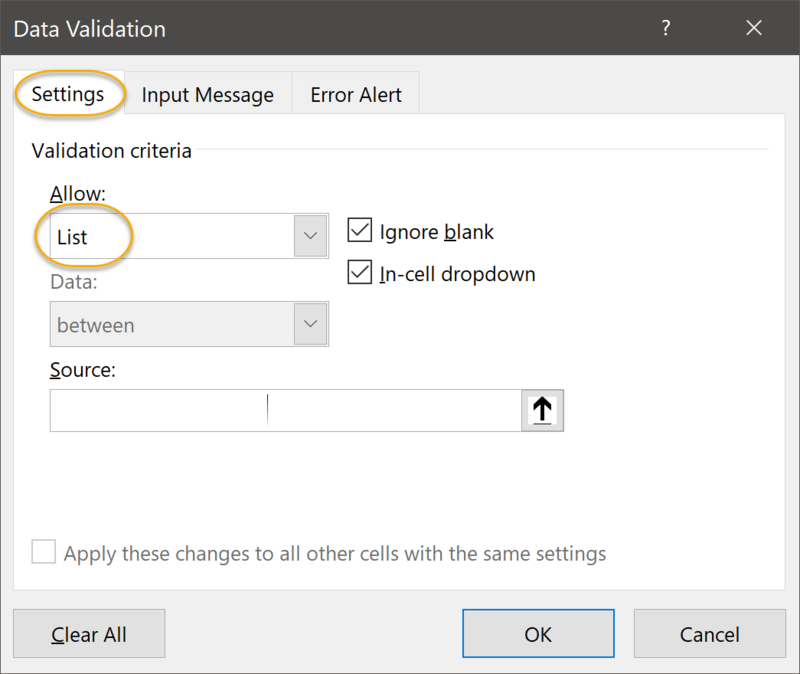 Learn to use Data Validation to restrict the type of data that can be entered into a cell. 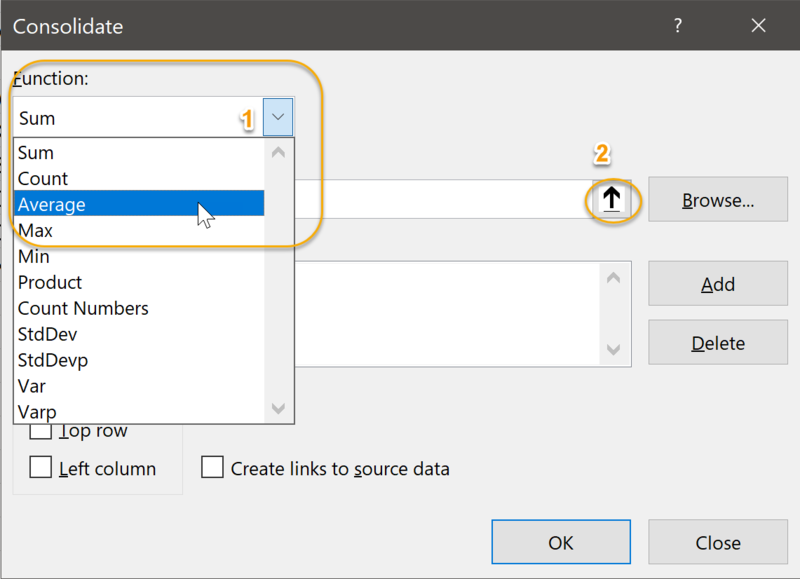 Learn to consolidate data from a number of different ranges into one new range. Learn to use Goal Seek to figure out the value to input to obtain a specific result. 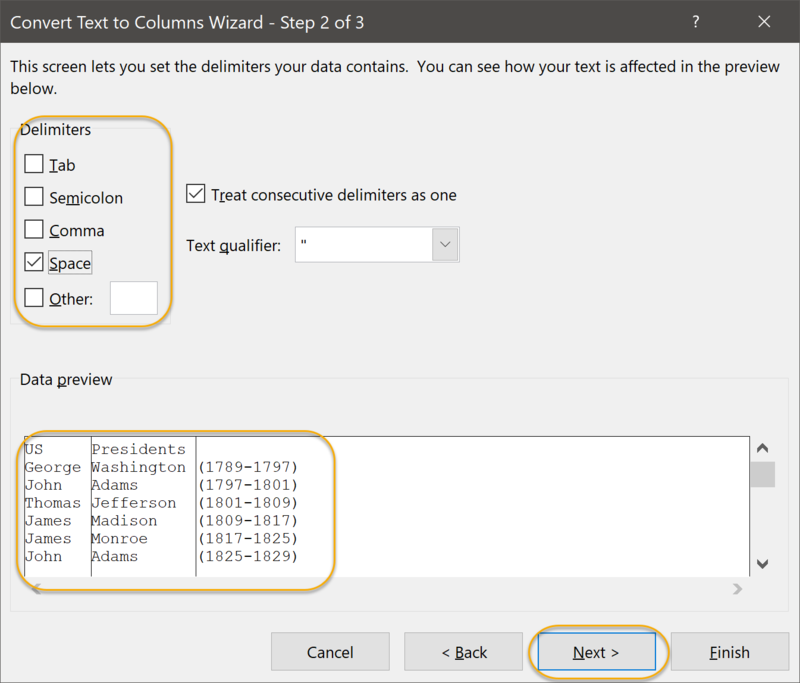 If you have a list of data in which all the information appears in one column, you can use the Text to Columns command to convert the data to multiple columns. This is generally much easier than retyping the data! Select the column that holds the text you want to convert into multiple columns. 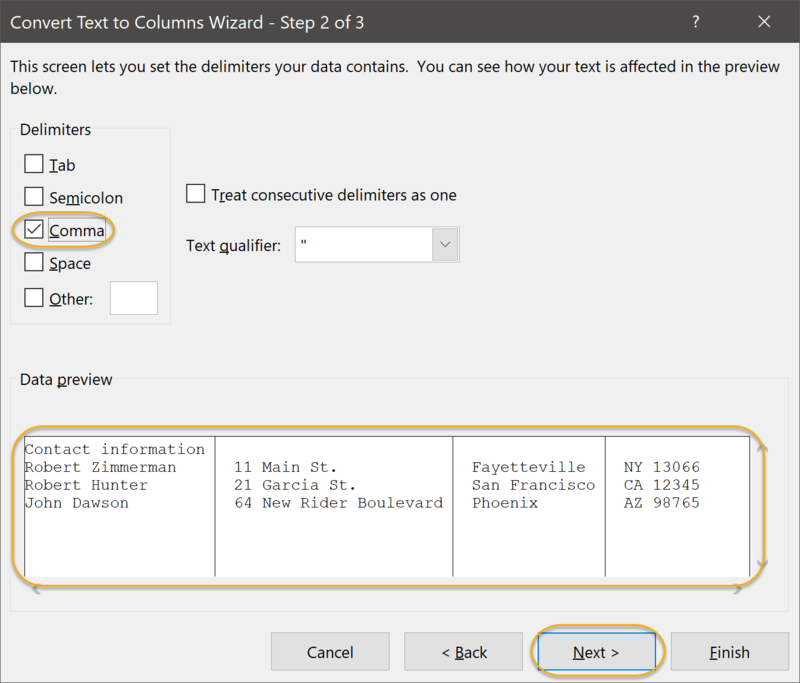 In this exercise, you will practice converting text to columns. 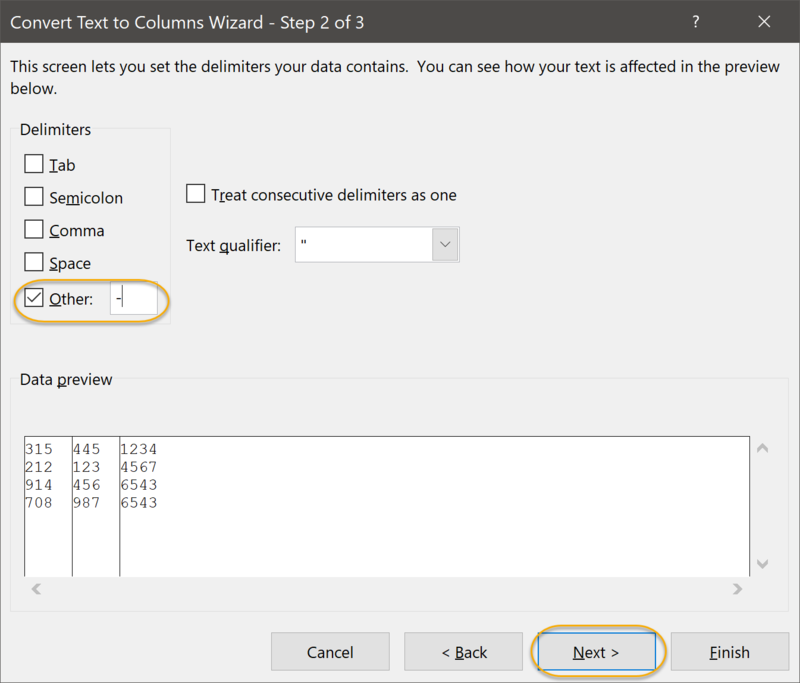 Open Text to Columns.xlsx from your Excel2019.3/Exercises folder. 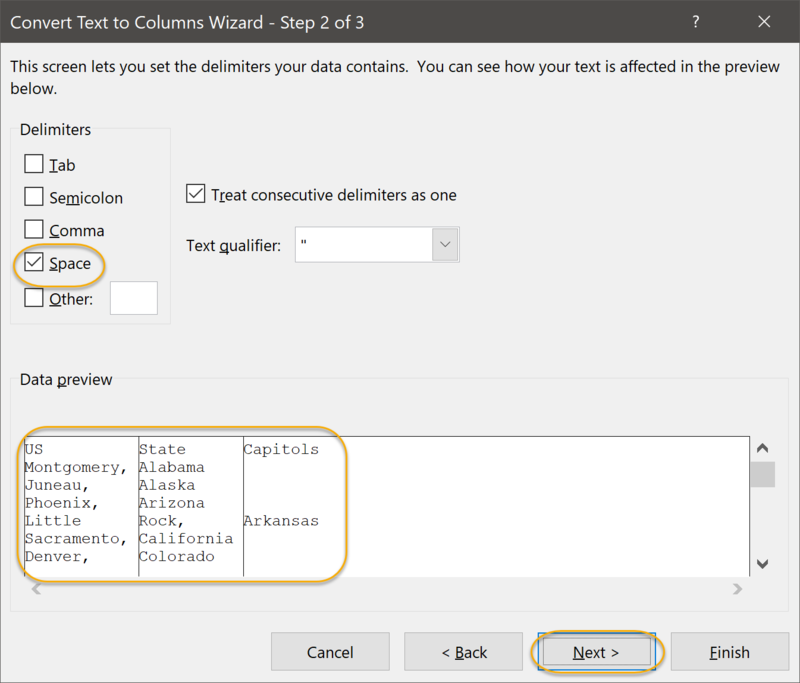 In the sheet named Capitols, convert the text in column A to two columns: city and state. 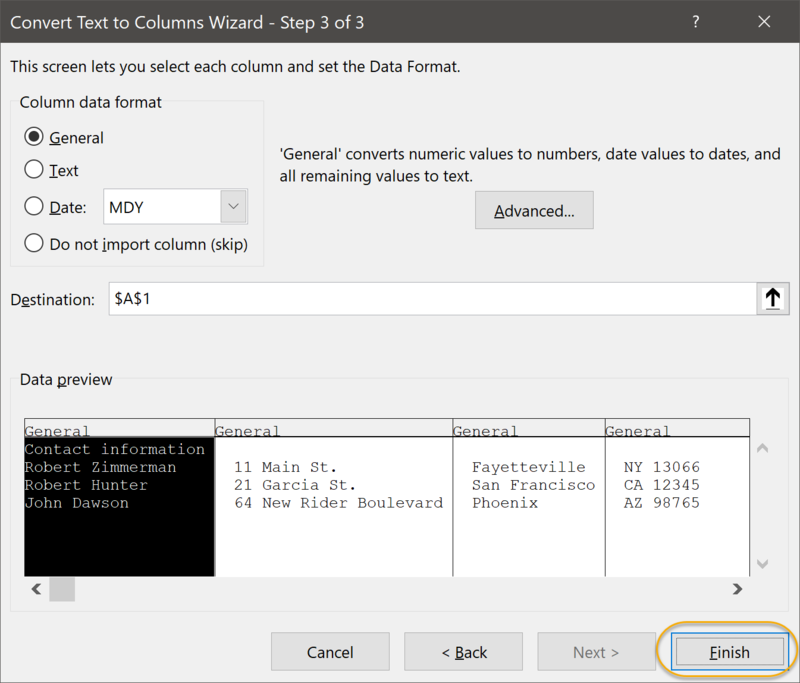 Put the converted data into columns C and D.
In the sheet named Phone Numbers, separate the area codes by converting the text in column A to three columns. 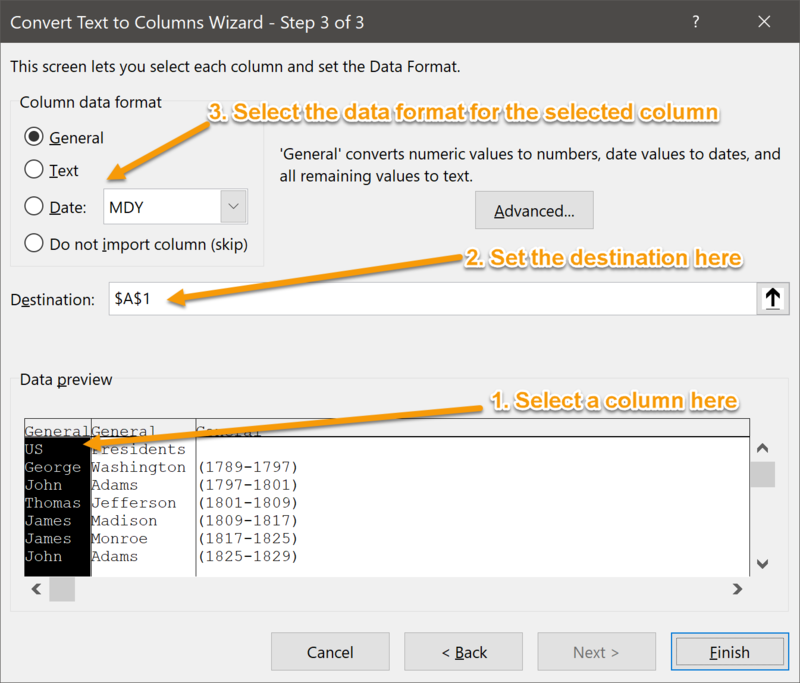 Click the Text to Columns command. 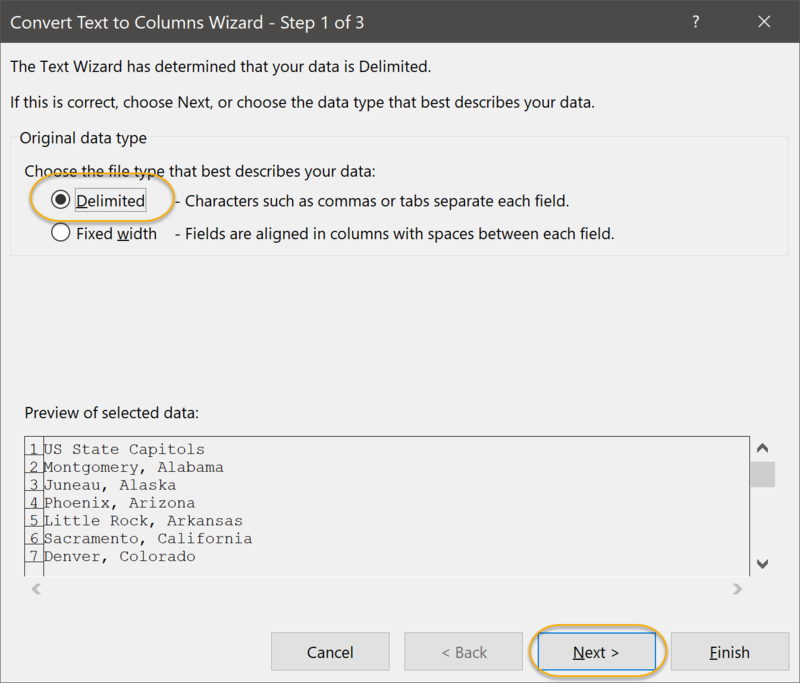 In the Convert Text to Columns Wizard - Step 1 of 3 dialog box, select Delimited and click Next. 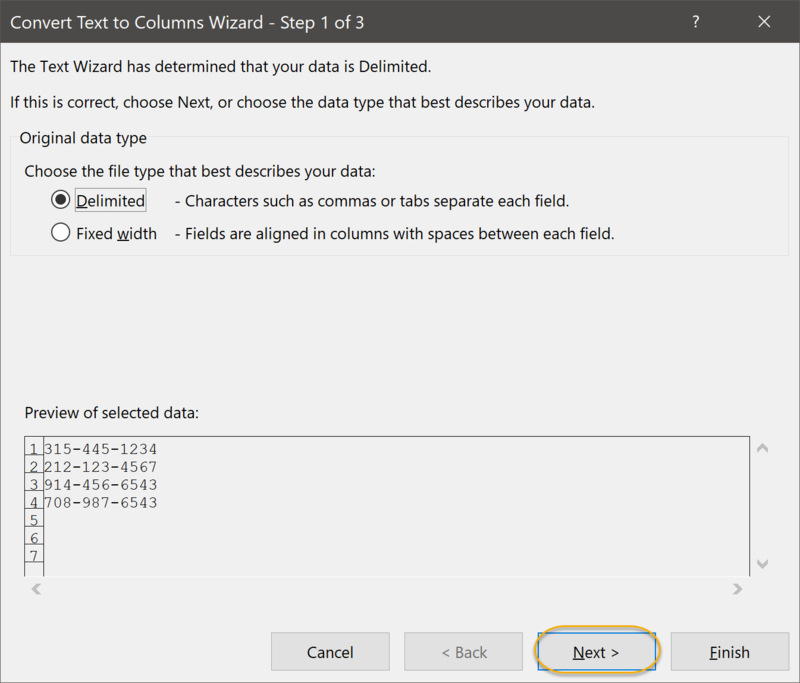 In the Convert Text to Columns Wizard - Step 2 of 3 dialog box, select Space and click Next. In the Convert Text to Columns Wizard - Step 3 of 3 dialog box, click Finish. 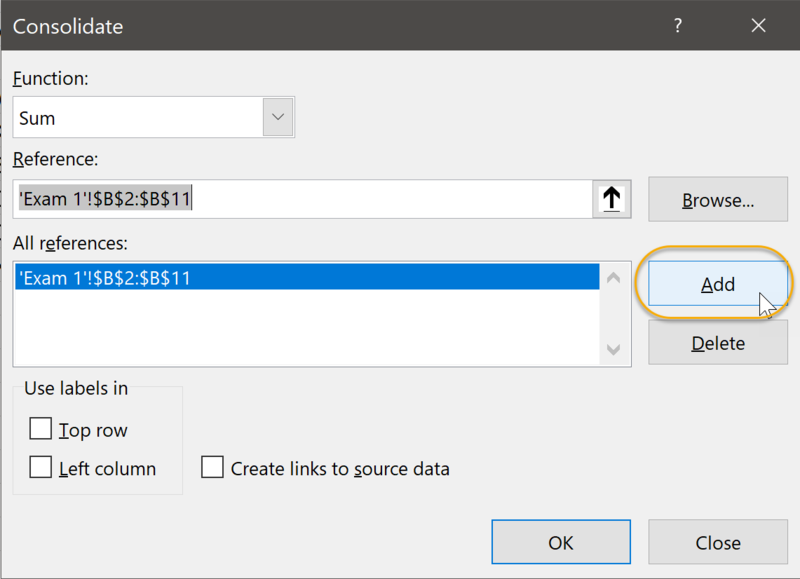 In Excel, you can use the options in the Get External Data group of the Data tab to link to data in different sources, such as text files, Microsoft Access, and the Internet. In Excel, calculation refers to Excel's ability to automatically compute formulas and display the results. You can alter the calculation options. In the Excel Options dialog box, select Formulas on the left. 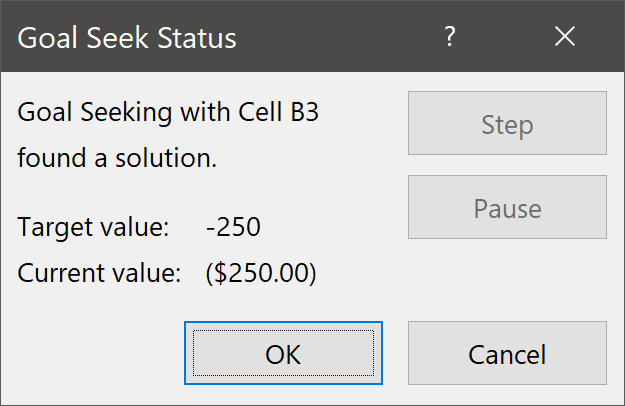 Set options under Calculation options and click OK to save the changes. 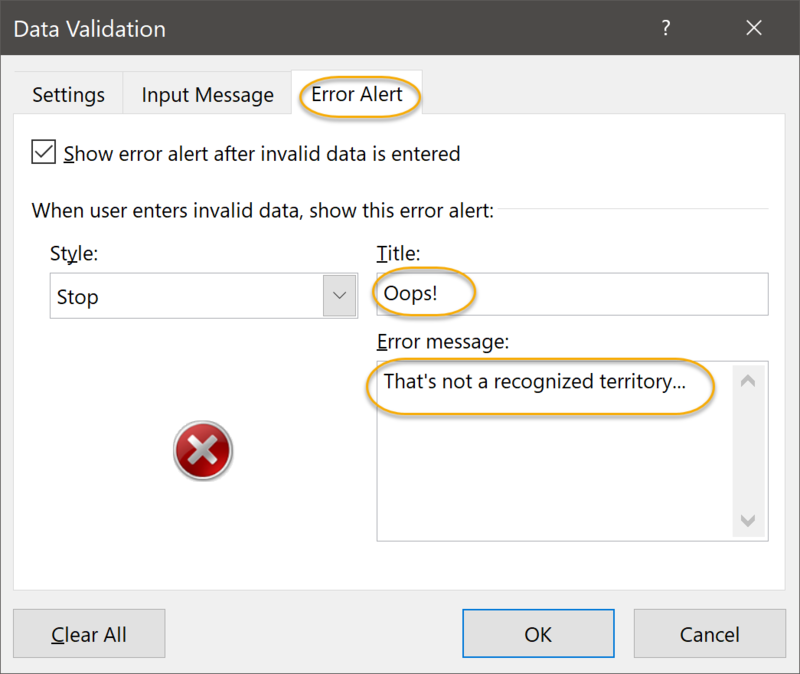 To protect against incorrect data entry, you can use data validation to restrict the type of data that can be entered into a cell. 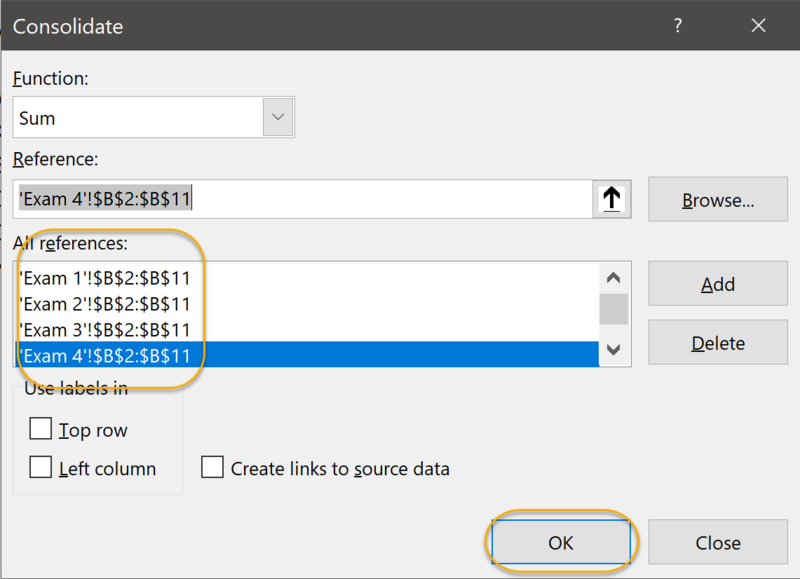 You can choose to allow only certain types of data, such as whole numbers or dates, or you can allow only items from a specified list. Select the cells for which to verify data. 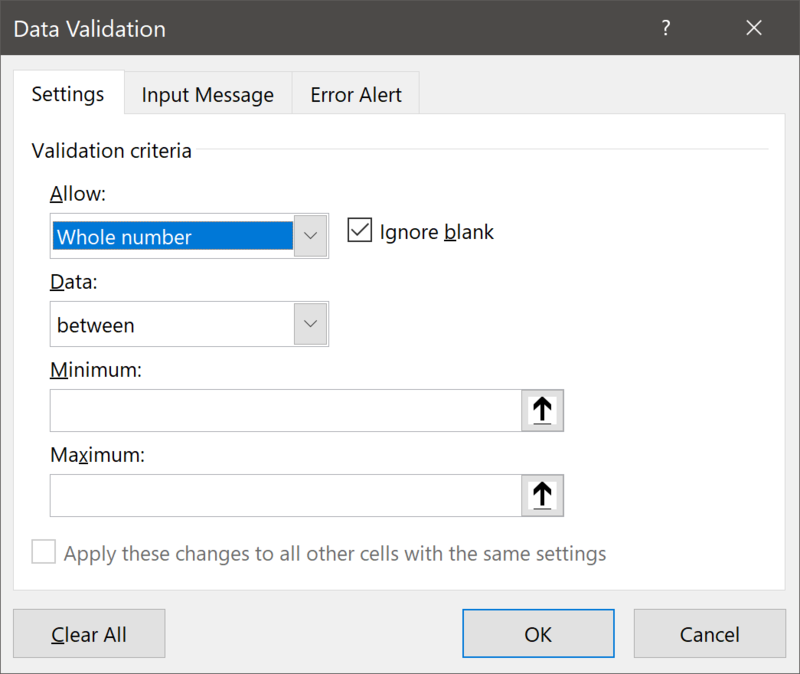 In this exercise, you will practice using Data Validation to restrict the data that can be entered in specific cells in a worksheet. 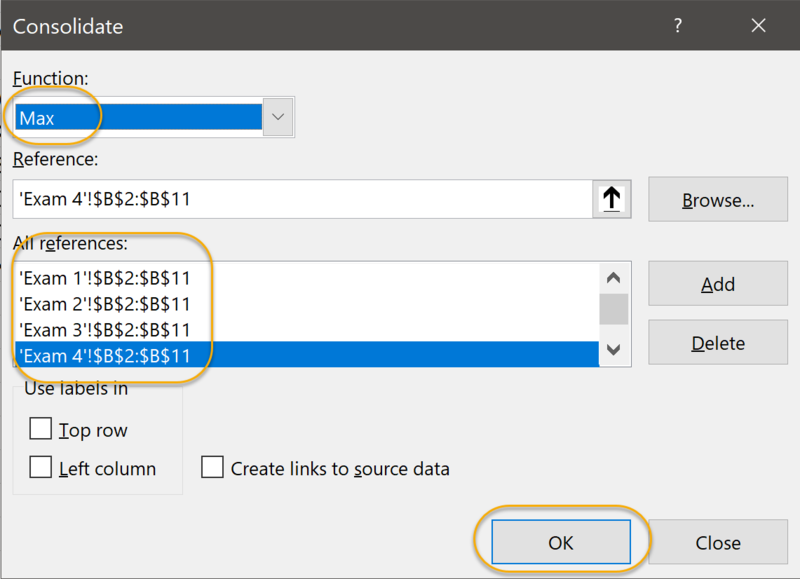 Open Data Validation.xlsx from your Excel2019.3/Exercises folder. 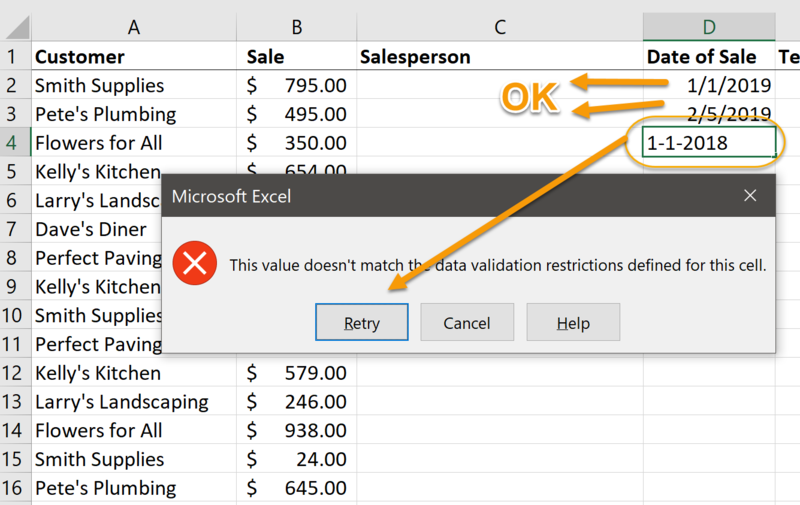 Use the Data Validation command to restrict the data that can be entered into cells C2:C17 to the list of salespeople on the sheet named "Salespeople". 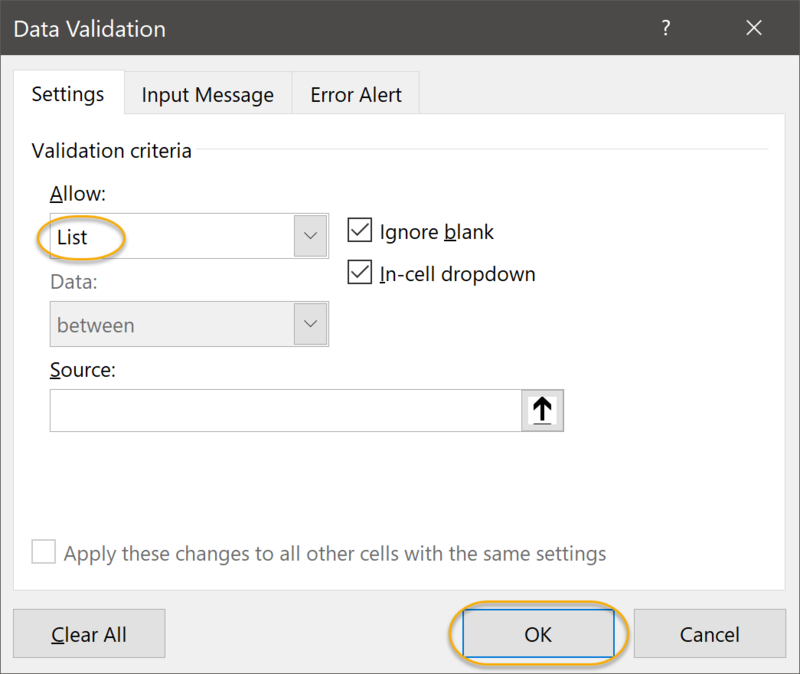 Use Data Validation to restrict the data that can be entered into cells D2:D17 to a date in 2012. 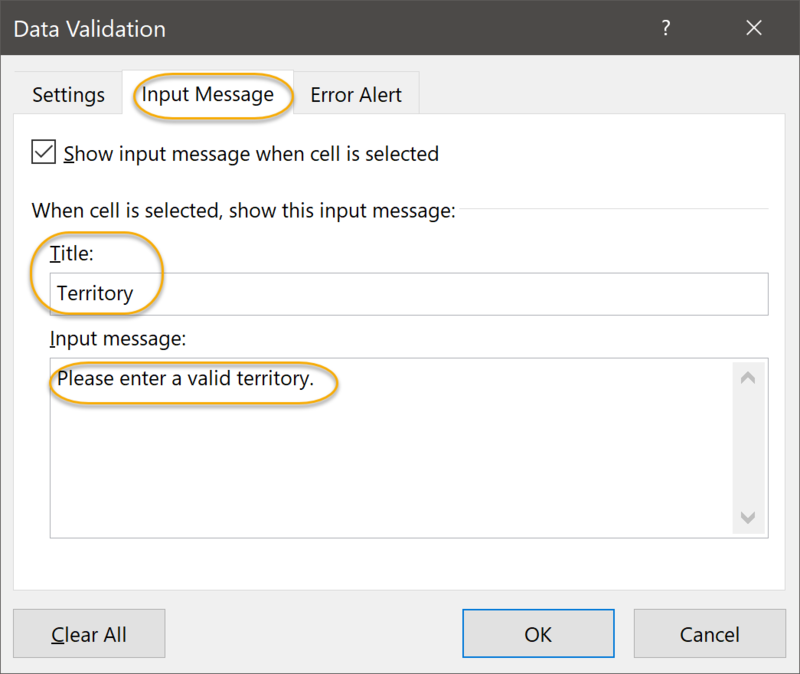 Use Data Validation to restrict the data that can be entered into cells E2:E17 to the list of territories on the sheet named "Territories". 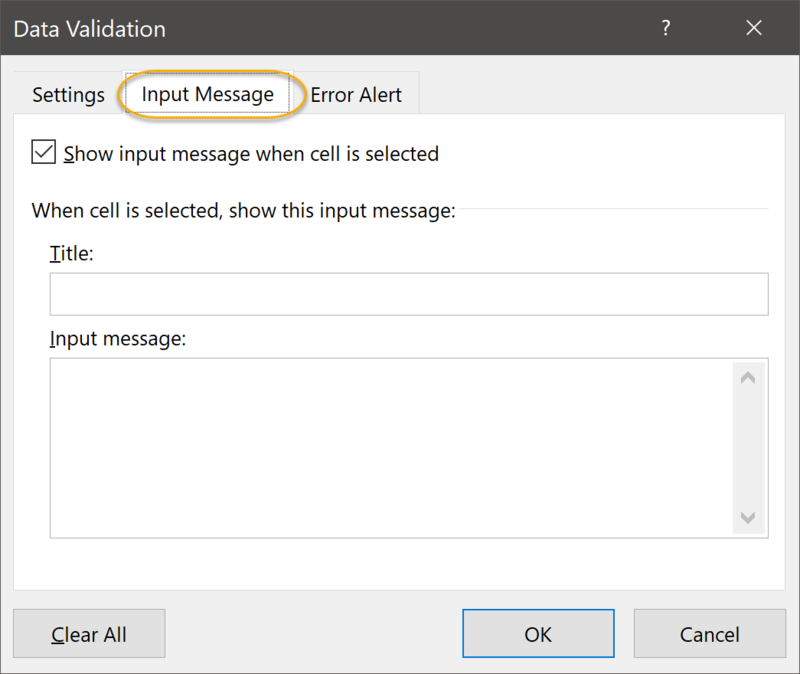 Enter an Input Message and an Error Alert to help the person entering data. 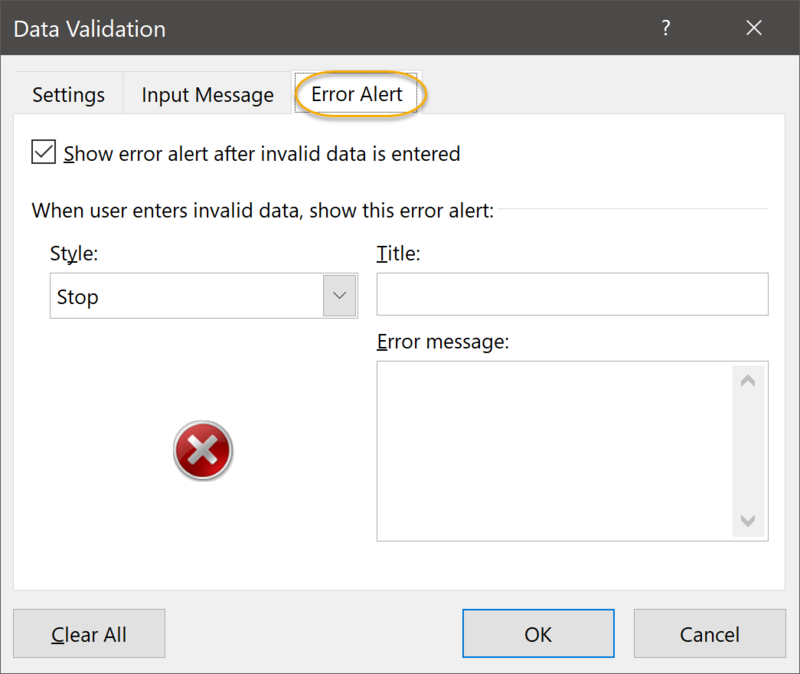 Click the red arrow to the right of the Source data entry box to collapse the Data Validation dialog box. 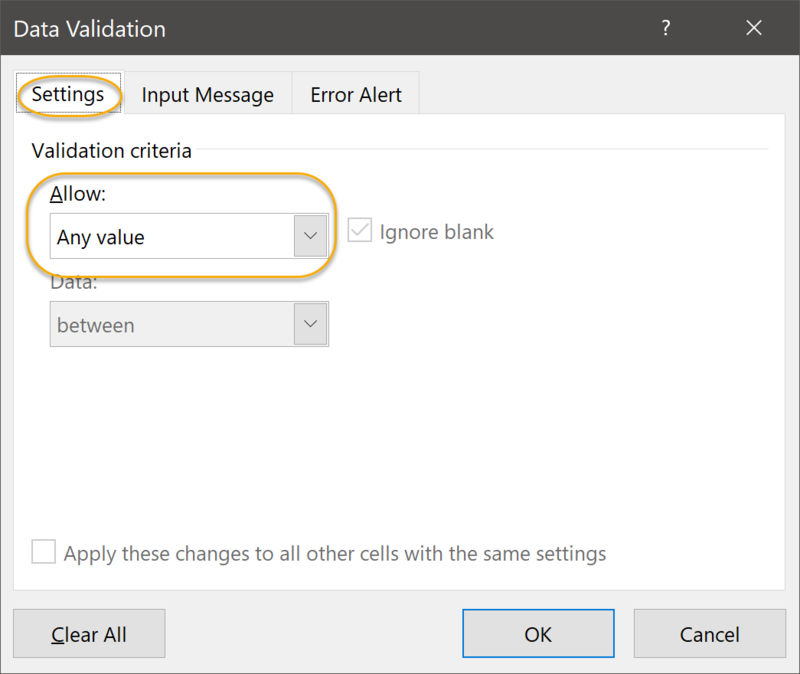 Navigate to the sheet named Salespeople, select cells A2:A6, and then click the red arrow at the right of the collapsed Data Validation dialog box to restore it. 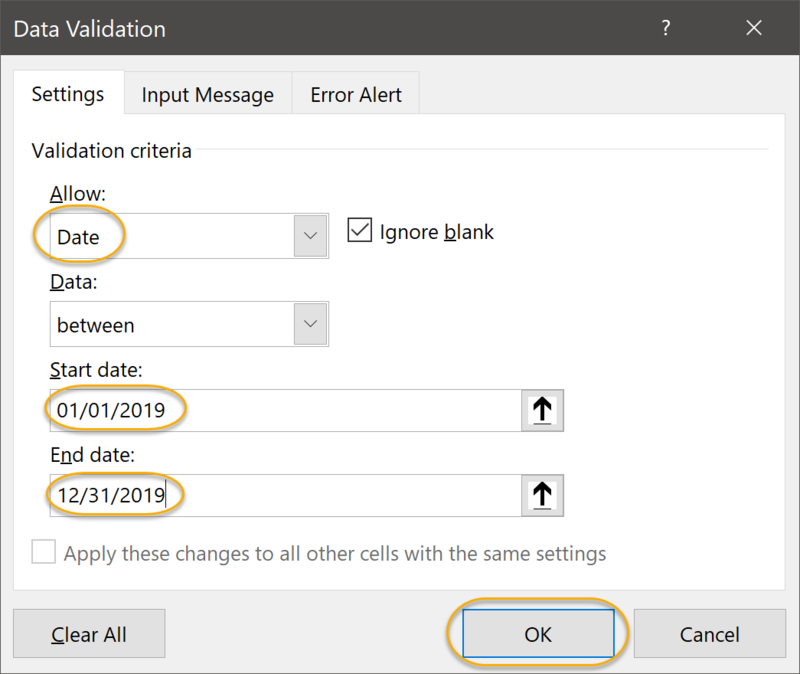 In the Data Validation dialog box, on the Settings tab, under Allow, select Date. 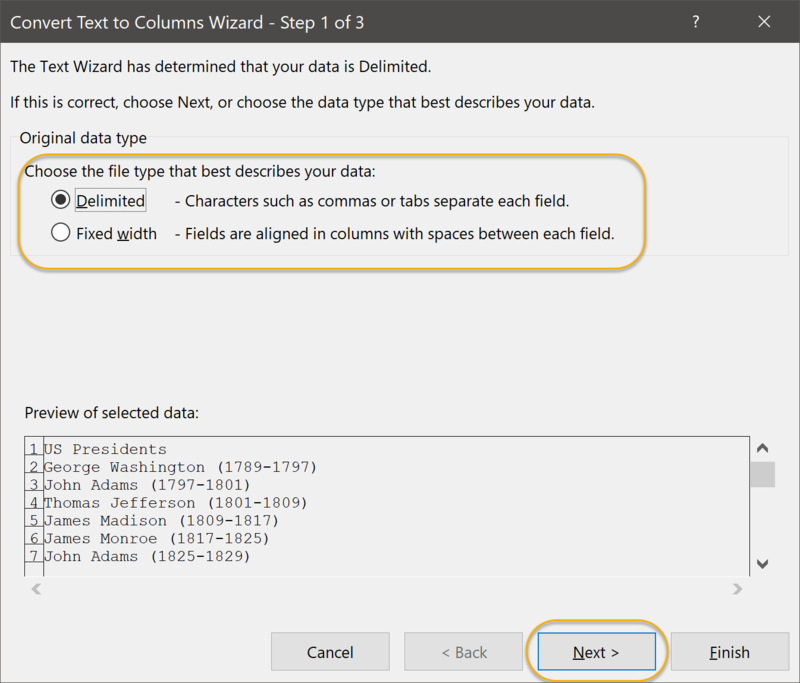 Under Data, select between. Under Start date, enter "1/1/19" and under End date, enter "12/31/19". Click OK.
Use the Consolidate command to join values from a number of different ranges into one new range. You can use Consolidate to sum the values in other ranges, to get an average of the values, to find the min or max value, and more. Select the Function to use. 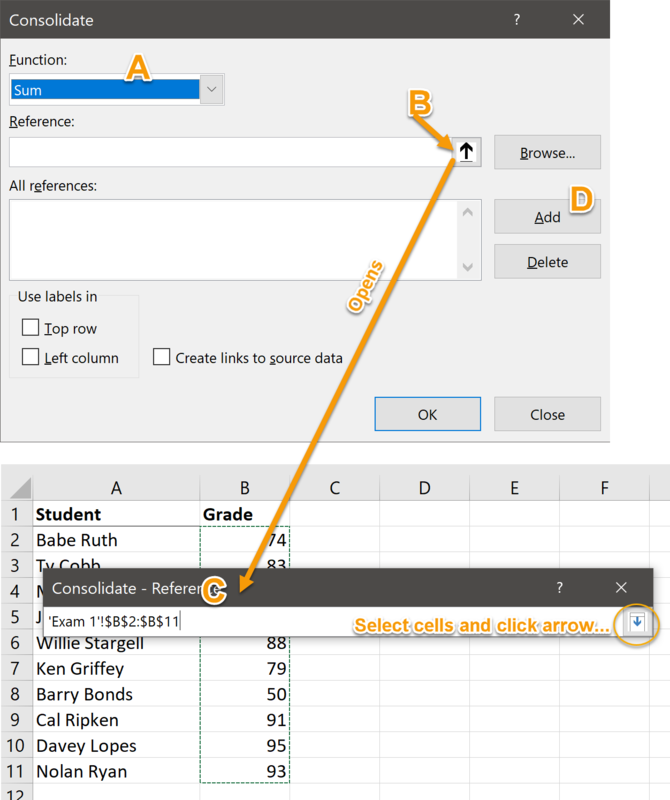 Click the red arrow to the right of the Reference data entry box. 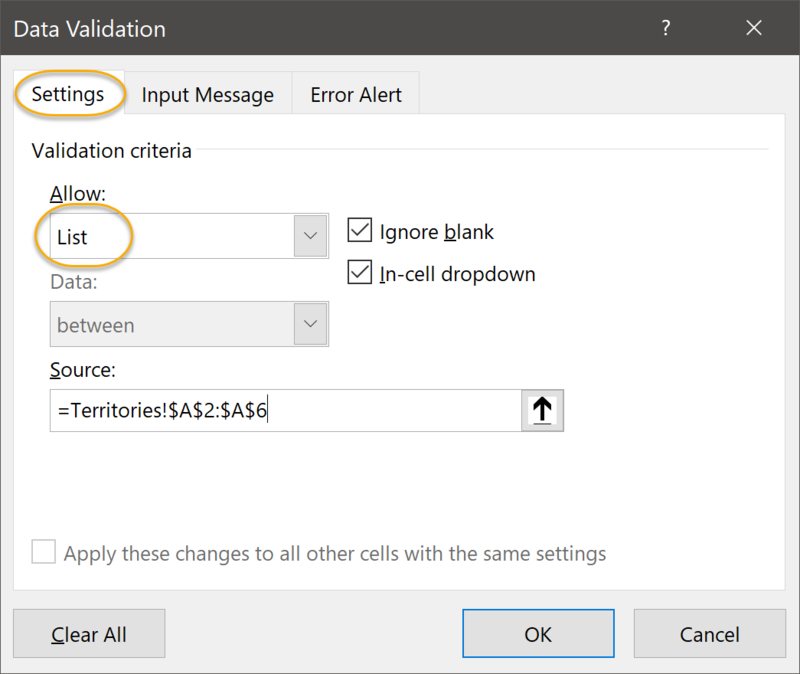 Select the first series of cells you want to consolidate and then click the red arrow in the Consolidate - Reference dialog box to return to the Consolidate dialog box. Click Add to add the series of cells to the All references box. Repeat steps B, C, and D until you have selected all series of cells that you want to consolidate. In this exercise, you will consolidate students' grades on four different exams to show their average, lowest, and highest grades on a summary sheet. 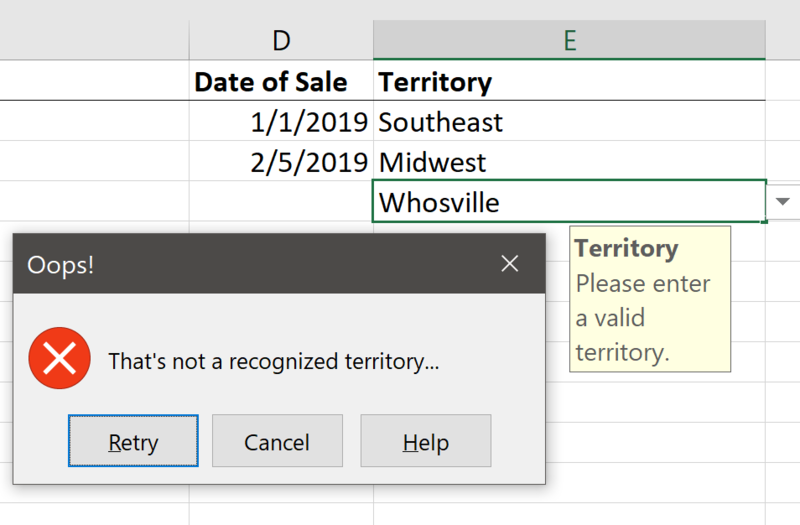 Open Consolidate.xlsx from your Excel2019.3/Exercises folder. Students' grades on four exams are stored on the first four sheets in this workbook. Use the Consolidate command to show the average, lowest, and highest grade for each student on the sheet named Consolidate. On the sheet named Consolidate, select cells B2:B11. Repeat steps C, D, and E, selecting cells B2:B11 on the sheets named Exam 2, Exam 3, and Exam 4. On the sheet named Consolidate, select cells C2:C11. 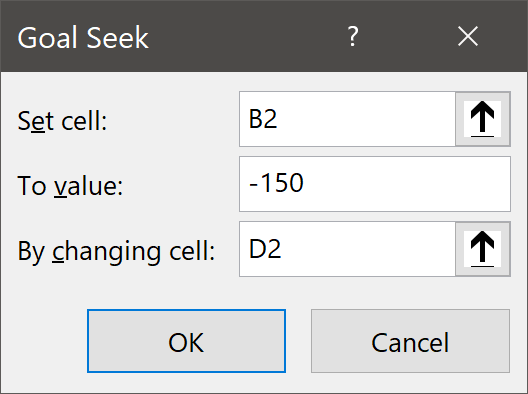 On the sheet named Consolidate, select cells D2:D11. In this exercise, you will practice using Goal Seek to adjust the number of periods it will take to pay off a loan based on varied payments and to figure out what grade a student needs on their final exam to achieve a target grade for a course. 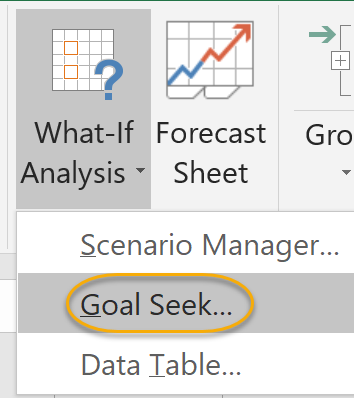 Open Goal Seek.xlsx from your Excel2019.3/Exercises folder. How many months (periods) it will take to pay off your boat if you can only pay $100 per month. How many months (periods) it will take to pay off your first car if you can only pay $250 per month. How many months (periods) it will take to pay off your second car if you can pay $200 per month. How many months (periods) it will take to pay off your house if you can pay $1,000 per month. What grade Babe Ruth needs to get on the last exam to raise his final grade to 90. What grade Barry Bonds needs to get on the last exam to achieve a passing grade (65). What the lowest grade Cal Ripken can get on the last exam to finish with a final grade of 90. In the Set cell box, enter cell B2. In the To value box, enter -100. The correct result is 63 months. In the Set cell box, enter cell B3. In the To value box, enter -250. The correct result is 148 months. In the Set cell box, enter cell B4. In the To value box, enter -200. The correct result is 42 months. In the Set cell box, enter cell B5. In the To value box, enter -1000. The correct result is 252 months. In the Set cell box, enter cell G2. In the To value box, enter 90. Babe Ruth needs a 100 on the final exam to raise his average to 90. 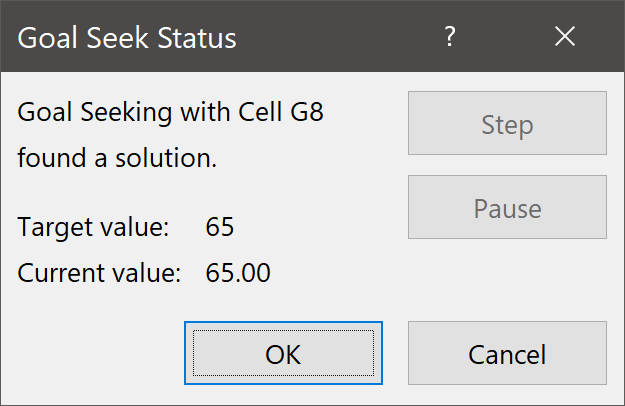 In the Set cell box, enter cell G8. In the To value box, enter 65. Barry Bonds needs a 133 on the final exam to achieve a passing grade. Poor Barry Bonds. In the Set cell box, enter cell G9. Cal Ripken needs at least a 79 on the final exam to finish with a final grade of 90.